Fast shipping from multiple locations in the USA! 2004 AUDI A4 1.8T CONVERTIBLE. FOR MORE DETAILS CALL YOUR LOCAL DEALER! A4, A4 Quattro. 2006 Audi A4, A4 Quattro S Line, Sedan, Wagon 2.0L Turbo. 2007-2008 Audi A4, A4 Quattro Convertible, S Line, Sedan, Wagon 2.0L Turbo. 2005 Audi A4, A4 Quattro Sedan, Wagon 2.0L Turbo. 2009 Audi A4, A4 Quattro Convertible 2.0L Turbo. No cap is included with the sale. 2009-2011 Audi A6, A6 Quattro Sedan 2.8L, 3.2L. A6, A6 Quattro. A6 Quattro. Wolf Auto LLC is not affiliated with Audi, Volkswagen, AG. 2011 Audi A5, A5 Quattro Convertible 3.2L. 2009-2012 Audi A4 Quattro Sedan 3.2L. PART#: 8E0 805 594 B. ALL SUPPORTS ARE ORIGINAL FACTORY OEM. Material: Aluminum. 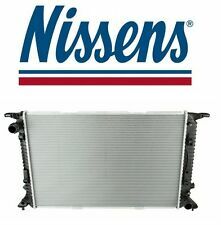 We are manufactures of auto parts for cooling system. Oversize: 748 463 125MM. Core Size: 635 418 36MM. Fit: manual transmission only. AUDI B7 A4 OEM Radiator 2.0L 8E0 121 251AE, tested in good condition. AUDI A4 2007. Make / ModelAUDI AUDI A4. AUDI A4 2005 -2005 from VIN 400001, AT, 4 cylinder. AUDI A4 2006 -2006 exc. Conv; 2.0L, AT. "Standard Coolant Reservoir --. Notes Sedan. Condition : New. Therefore all implied warranties that may apply to your part are limited to the duration of this written warranty. Each warranty gives you specific rights, and you may have other rights which vary from state to state. Need more Audi Q5, Q7, TT, A6, A4, S4, A5, S5 B8 and B8.5 parts?. All of our parts are marked. Any part that has been modified, taken apart, or altered in any way will not be accepted. Links the coolant flange to the hard coolant pipe. A4, A4 Quattro. 2005 Audi A4, A4 Quattro Sedan, Wagon 2.0L Turbo. 2006-2008 Audi A4, A4 Quattro S Line, Sedan, Wagon 2.0L Turbo. Wolf Auto LLC is not affiliated with Audi, Volkswagen, AG. Waverly, MN 55390. A4, A4 Quattro. 2002-2005 Audi A4, A4 Quattro Sedan, Wagon 3.0L. 2003-2006 Audi A4, A4 Quattro Convertible 3.0L For Vehicles with Engine Code(s) AVK, BGN. Wolf Auto LLC is not affiliated with Audi, Volkswagen, AG. Audi B6 A4 1.8T. DONOR CAR INFORMATIONMake: AUDI. Waverly, MN 55390. Wolf Auto Parts. No labor warranty is provided. We try to provide a part number whenever possible to help you do so. We will try our best to help you out. Vehicle Model: A4. Vehicle Make: AUDI. Vehicle Year: 2002. We do try to respond. - The item has "small scratches" or "normal wear" due to the fact that these are used parts. - The item is a different color than what you thought. 2004-2006 Audi S4 Sedan, Wagon 4.2L. 2007-2008 Audi S4 Convertible, Sedan, Wagon 4.2L. 2009 Audi S4 Convertible 4.2L. Wolf Auto LLC is not affiliated with Audi, Volkswagen, AG. Waverly, MN 55390. Wolf Auto Parts. 2008 Audi A4 Sedan 2. 0T Quattro. Be sure for what you buy! - it is an electronic part in good condition. - don’t need it any more;. - wrong part ordered;. - doesn’t fit;. - changed you mind;. - warranty case. Model: AUDI A4. AUDI A4 05 from VIN 400001, AT, 4 cylinder. AUDI A4 06 exc. Conv; 2.0L, AT. AUDI A4 07-08 2.0L, AT. AUDI A4 09 Conv, 2.0L, AT. Audi & VW Specialists. Specific To Vehicles With Automatic Transmission. "OES Genuine Radiator Hose --. OES GENUINE RADIATOR HOSE. Notes Location : Upper. Condition : New. Therefore all implied warranties that may apply to your part are limited to the duration of this written warranty. 2002 2003 2004 AUDI A4 B6 1.8L - COOLANT PIPE / TUBE used in good condition with bleed screw, came off a working Audi. There is som rust in the tune. Product features: · Thickness: 2mm to 5mm, 3-4-ply · Working Temperature: -76°F (-60°C ) to 500°F ( 260°C) · Working Pressure: 0.3 to 0.9MPa · Bursting Pressure: 2MPa · Size Tolerance: /-0.5mm · 1 Year Warranty · Color availabl : Blue / Black / Red · Made from high quality woven thermoplastic and pure silicone materials to form the highest quality engine hoses and offer longer life expectancy · Handmade and carefully inspected · High performance and reliability in high pressures conditions.